The Motorola-made Nexus 6 does in fact have an embedded LED light — most users just can’t turn it on to display notifications. As spotted on Reddit, the LED is right beneath the speaker grill at the top of the headset, and it can turn red, blue, or green. The light can’t do much at the moment. The developers of Light Flow, a notifications app compatible with Lollipop, have posted a workaround that lets users enable the light, but it requires the device to be rooted, which isn’t practical for most users. Unfortunately for fans of the notification LEDs, it does appear that [company]Google[/company], especially in Lollipop, is backing away from them as a primary notification method. Device makers might continue to stick them on phones and tablets, but going forward, expect to primarily configure your phone’s LED — if it even has one — with third-party apps. In Lollipop’s new silent mode subsitute, priority mode, LED notifications are turned off, even if you’ve got a phone with a fully supported notifications light, such as the Nexus 5. It is no longer simple to use the LED notification as a substitute for sound or vibration on Android. It’s not just messaging addicts who like visual notifications — many people with hearing problems rely on LED notifications. Notifications are more complicated than they were even a few years ago. One of the best new Lollipop features is that notifications can now have associated actions. That’s a concept that is harder to translate into a single LED. Plus, features like Ambient Display and Moto Active Display take advantage of OLED displays to light up the entire screen when you get a notification. That’s not even taking into account smartwatches running Android Wear, which in many ways are supercharged notifications lights strapped to your wrist. Ultimately, the hidden LED on the Nexus 6 is a similar story to last year’s Moto X, which had a LED in the same place. To this day, the 2013 Moto X still requires a rooted phone to signal notifications. What is wrong with people? Not everyone wants to have a dorky calculator watch. There are a lot of ways to use an led notification, not just one on, one off. I wear a real watch, and I won’t replace it with junk plastic, and I certainly won’t wear two. On my HTC Sensation I was able to assign different colors to different senders of text messages. That included 6 different colors, if I remember correctly – red-orange-yellow-green-blue-purple. This seems to be a step backwards. 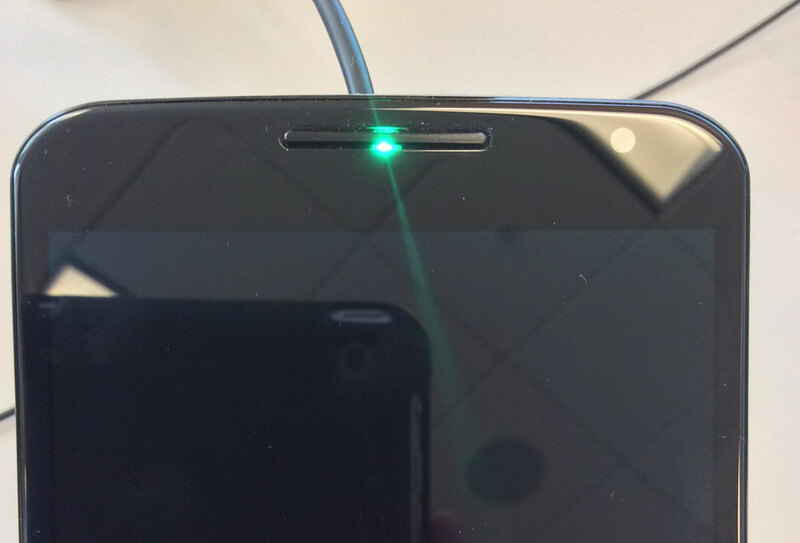 I have to say, my office gave me a BlackBerry Z30 for work – and I love the flashing LED for notifications. Ancient history or not, it just plain works well. LED notifications are ancient history now. I get notified on my little android wristwatch, it’s much simpler.